Reading ebooks on an iPad is a natural thing to do, but what if you want to or need to work on a Mac? The Mac can do things that the iPad still cannot, and the situation cries out for an OS X native EPUB reader. Now we have it with Bookle. In this age of the iPad and ebooks, it’s easy to assume that an iPad is all you’ll ever need. So I need to back up for just a bit and explain why Bookle exists. You may have noticed that Amazon, Apple, and Barnes & Noble are competing for your book money. Each company has its own eReader, and there are competing file formats, namely Amazon’s MOBI and everyone else’s EPUB. * On top of that, the publisher may chose to add DRM to the book, so the average customer is confronted with different hardware, different file formats and different DRM. 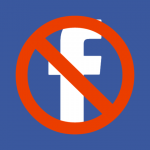 Good luck reading all the books you’re buying in this technological era when 2030 rolls around. Last year I wrote an article, “Managing and Reading All Kinds of Books on Your Mac.” In the preamble, I provided some perspective, from a book collector’s standpoint. What has happened is that the excitement over the iPad has distracted us from thinking calmly about our investment and management of something very important: the launch of an ebook collection for the rest of our lives. In addition, there are corporate and institutonal users who may have very different needs for ebook management than individual users. Of course, there are those who take the positive view that the classic Mac/PC is a thing of the past. There’s no ROI for a Mac version of iBooks. A somewhat more cynical approach would be that Apple wants to drive us toward and sell books from the iBookstore for the iPad’s iBooks app. The result is that prior to 2012, we didn’t have a beautiful, Mac-only EPUB reader for OS X that, in the words Adam Engst, “walks, talks, and quacks like a Mac app.” Now we do, and it’s called Bookle. In the TMO article I referenced above, I went into fair amount of detail about apps for reading books in digital format. There is Calibre, by Kovid Goyal and his volunteer team members. It’s a colorful, capable ebook reader that’s open source and cross-platform. It can view and/or translate non-DRM’d books between many, many formats, and it can maintain a nice library of ebooks. It has global search and invokes Cover Flow. It can even function as an ebook server. The nice thing is that the Mac can serve as your digital hub, library, and management system, but then you can also move selected books to your iPad for reading. But after four years, it’s still at version 0.8.x. There is also Stanza, a plug-in for Firefox, and various readers for Windows. Refer to the above linked article for more details. Again, all these apps are limited in that they can only read non-DRM’d books. We’d like all our books to be DRM-free and managed in a Mac library that can migrate forward for all time. Unfortunately, the DRM applied to most commercial ebooks makes that effort almost impossible. It’s an economic reality of the digital age. But I digress. 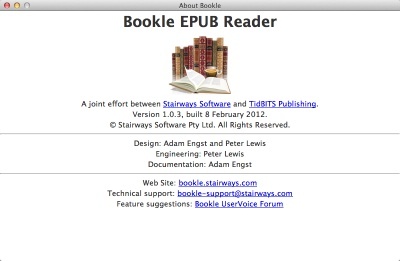 Bookle, announced February 6, 2012 is a joint project between Adam Engst and Peter Lewis of Stairways Software. (Mr. Lewis is also a Mac community icon, most famous for Interarchy.) As Mr. Engst described it to me, he felt that the Mac community needed a true EPUB reader that works the way a true Mac app should. And probably no one was in a better position to arrive at this conclusion: Mr. Engst has been involved in the publishing business for two decades, including his notable TidBITS website and the Take Control ebooks series. Tonya Engst is the Editor in Chief of those books. Bookle 1.x isn’t designed to compete with, say Calibre, so a side-by-side comparison isn’t called for here. At least for now. Bookle is Mac only. It only reads EPUB files that have no DRM. It has very basic library management. 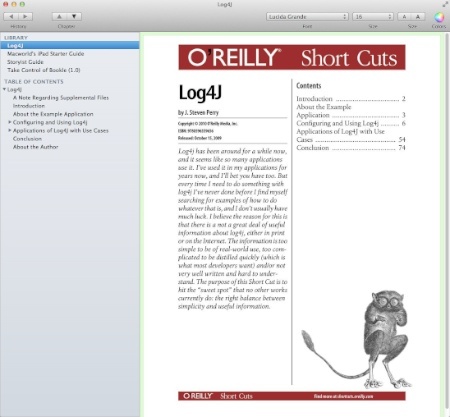 It’s designed to be a Mac EPUB reader in the way Preview is a PDF reader: an OS X app that does one thing really well. Plus, it has room to grow. Along those lines, Bookle has a website that allows customers to vote on the new features they want. It’s off to a great start. Drag an ebook to the Bookle icon to load it. Add books to its library without affecting the original ebook. Uses OS X text to speech to read a book aloud. Open and view multiple EPUB files. Adjust font, font size and background color. Optionally, return to the same location in book when app is relaunched. Works with OS X Lion or Snow Leopard. 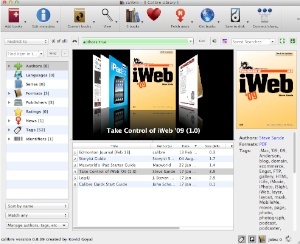 Manage a large library of books with searchable tags. View books in other than EPUB2 format. Bookle uses a simple user interface. On the left vertical pane is a list of items in the library, and when you select an ebook from the library, you’re shown its Table of Contents. Chapters are opened with disclosure triangles. 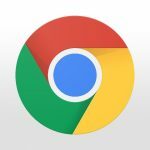 At the top, is a basic Toolbar that has plenty of room for growth. That’s where you’ll navigate and change the font characteristics. It’s a simple, clean, version 1.0-type interface. In fact, the app at this point doesn’t even have a menu item for preferences because it is so basic. I can see that as one’s library grows, a simple, linear, alphabetical list of books isn’t going to remain a practical interface. Mr. Engst told me that a more robust library management system will come along later as users express their needs and the app develops. Because Bookle copies your original ebooks into its library, you always have control over the originals. 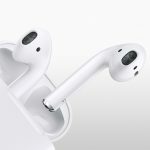 That means you can drag them into iTunes and sync them to your iPad. It’s the best of both worlds. If you have a Magic Mouse or a Magic Trackpad, you can just swipe through the pages. Bookle, like Murasaki, takes a scrolling approach to viewing pages in a chapter rather than a paginated approach, like BookReader. This has some advanatages, but doesn’t have the pleasing physical book metaphor like iBooks for iOS. 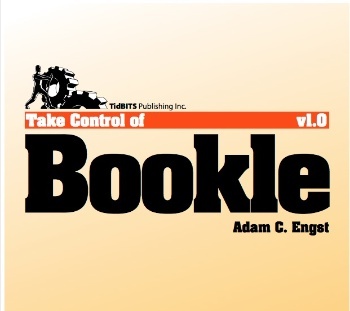 Bookle ships with one ebook loaded: the Bookle “Take Control” User Guide. 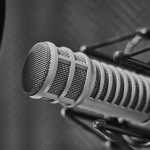 The guide not only introduces the app, but helps you find sources of content. It also explains where Bookle keeps your library of books in order to comply with Apple’s new sandboxing rules. All in all, it’s a terrific, complete, and nicely laid out introduction to Bookle. The system requirement is Mac OS X 10.6 or later. Mr. Engst has suggested, as I mentioned above, that a more robust library management system is contemplated. EPUB3 support is also being considered as well as additional ebook formats. On the customer feedback page, the most current votes are for searchable text. With a paid basis for the app, the developers can afford to invest in new features. Calibre (pronounced as cali-ber, not ca-libre) has been around since 2008. 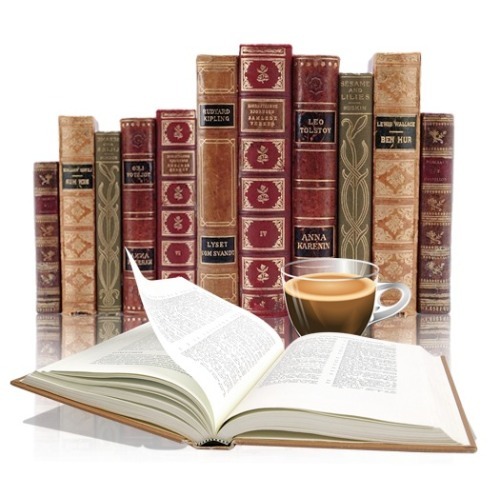 Many users have developed rich, searchable, indexed libraries of books with this app. So the real question is whether or not to switch to Bookle with the expectation that the app will grow, you’ll grow with the UI advances, and it’ll become the preeminent OS X app for your ebook library. Naturally, in order to justify the development of this app in the long run, it comes at a price: US$9.99 — while Calibre is free. 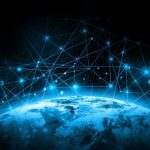 The ebook industry is in a considerable state of flux right now. We don’t even know how to spell ebook. Our ability to purchase with just a credit card, an impulse, and a click far outstrips our ability to manage an extensive library of ebooks. If your inclination is that you’ll maintain a library of ebooks in Amazon’s cloud and read them on various hardware devices going forward, this kind of app may not be for you. However, if you have a need or the desire to work with a Mac as your digital hub and anticipate building a library of DRM-free books in EPUB format going forward, this could be the start of something big. A clean, easy-to-use interface, basic library management, can utilize text to speech, preserves original ebook in OS X, adjustable font and color. Library management is simple, can only view EPUB2 documents.